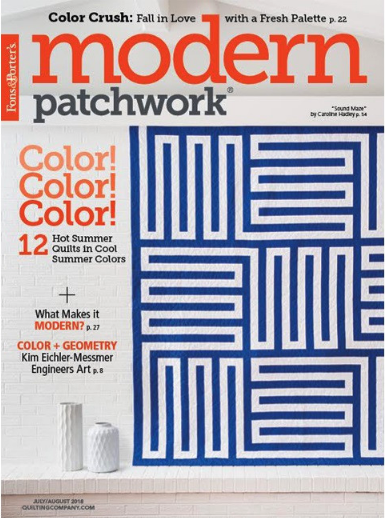 Hot July weather calls for a refreshing antidote, and these Accordion Place Mats featured in the July/August issue of Modern Patchwork are just that! Cool hues from our Painter's Palette Solids collection are perfect for a summery table. Scroll down to learn more. Q. How did you come up with the design for these place mats? LR: When I work with solids, I love to use the idea of transparency and depth by using different shades of the same color. 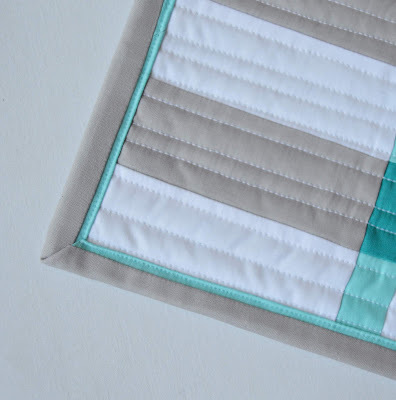 These colors were borrowed from my Diamond Drama quilt--they're some of my favorites! Q. Why do you call them Accordion Place Mats? 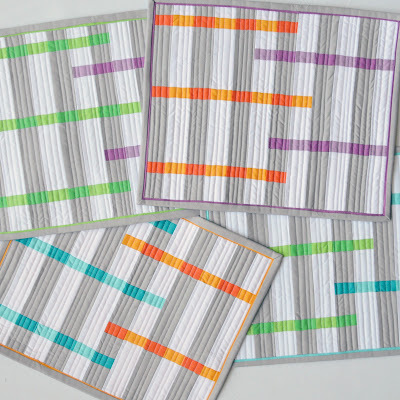 LR: Because of the shading, I think each placemat looks like it recedes and then pops out, similar to an accordion. I paired the darker shade of each color with the Silver to enhance this illusion. Q. Tell us something unexpected about this project. LR: As I started to sew it, I realized just how many pieces each place mat contained! 82, to be exact. That's a lot of sewing, but it's worth it for the final look. 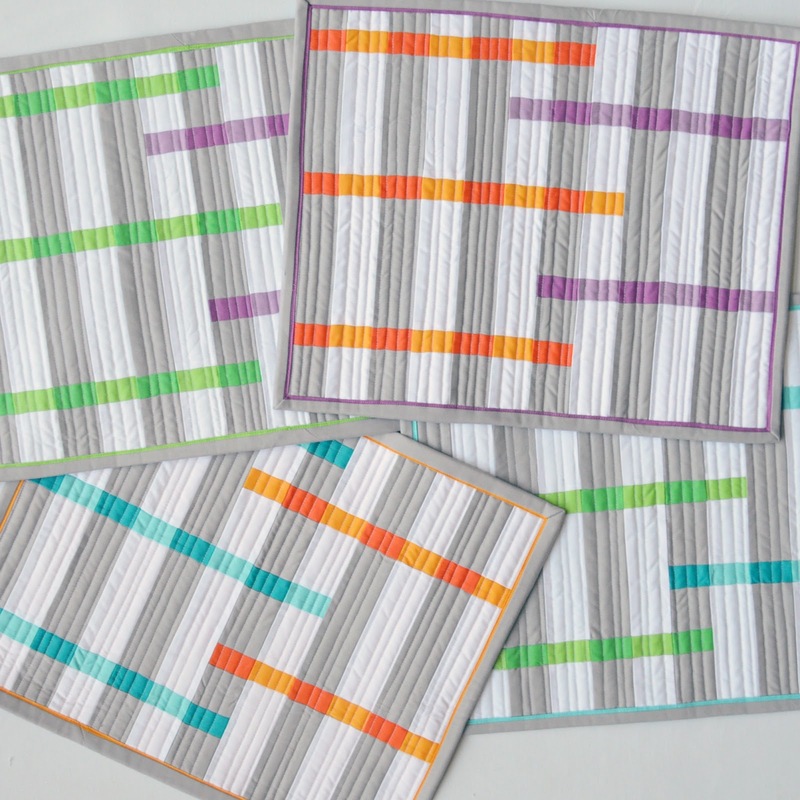 I am looking forward to using these place mats all summer long! Q. We love the faux-flange binding! LR: I do too! 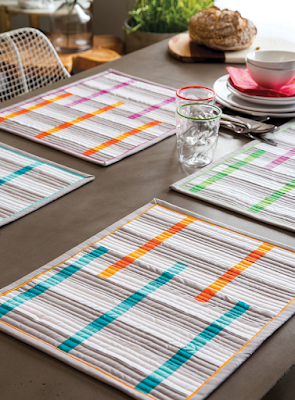 I think it finishes the place mats beautifully and brings the color out to the edges. It's actually an easy technique with stellar results. 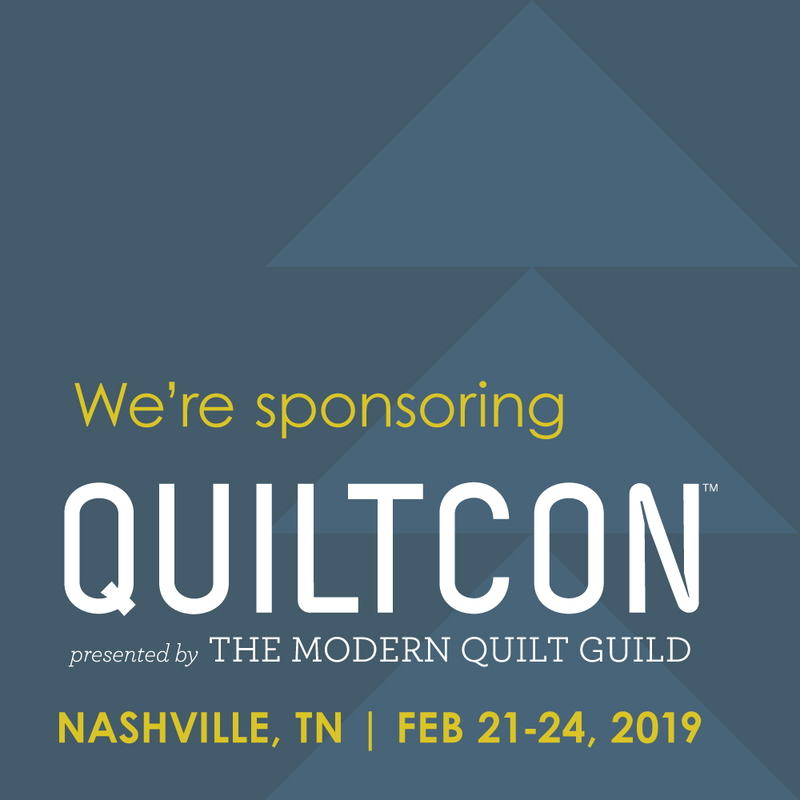 See all 168 Painter's Palette Solids colors here and ask for them at your local quilt shop. Wow! These placemats are really eye-catching with such a fun, modern twist! 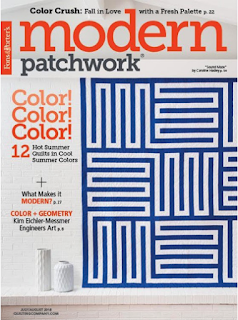 I will be looking for the Modern Patchwork magazine to make a set for myself!